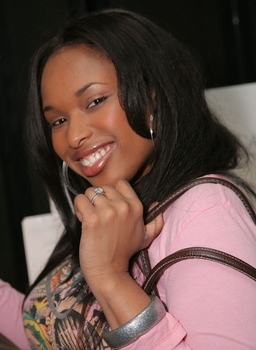 Jennifer Hudson is wearing her Ziamond Cubic Zirconia CZ Britney Inspired Engagement Ring in 14k white gold. This ring was inspired by the ring Kevin Federline gave Britney Spears as her engagement ring. This elegant solitaire features a splendid and vibrant 5.5 carat cushion cut center with micro pave set rounds down both sides of the shank for a total carat weight of approximately 6.25 carats. The Britney Inspired Engagement Ring is also available with a 1.5, 2.5, and 4 carat center stone cubic zirconia cz. All Ziamond Cubic Zirconia CZ jewelry is set in 14k gold, 18k gold or platinum.